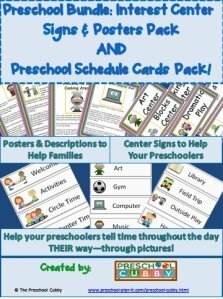 Planning a daily preschool schedule is important and there is more to it than listing Circle Time, Activity Times, Snack Time, etc. You need to consider many other areas such as transition times and balancing passive/active activities. If you don’t consider them, you’ll spend your days (and year!) wondering why you are always running behind or why the children are not in the groove of school (aka behavior problems). Let’s look at the 9 tips you need to know! 1. You need to have a plan! Having a daily preschool schedule is important. The predictability of knowing what comes next helps preschoolers to feel secure which leads to them feeling comfortable to engage and participate in activities throughout the day. Preschoolers tell time differently than we do. They “tell time” by knowing what comes next. We are asked daily “When do we have snack? When do we go outside? For some children, the preoccupation with the question "When is Mommy coming?" limits the child's ability to participate. We are washing our hands, so we are going to have snack. We always go outside after snack. When we come in, we read a story and then Mommy comes. Another purpose for having a schedule is to help you to intentionally balance active/passive activities and teacher vs child led activities. This helps to keep the children from “zoning out”, getting bored or conversely, becoming overstimulated by too little direction. 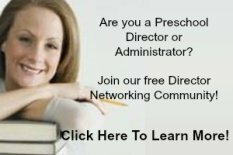 Yes, your daily preschool schedule IS a fine balance, and one you will need to observe, assess and make changes to as needed throughout the year. 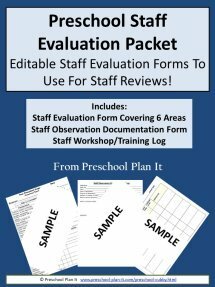 Set up your preschool schedule so it is balanced and then review it throughout the year and make changes as necessary. Looks great right? But, there’s a problem! You haven’t allowed time for clean up after center time, handwashing before snack or putting on jackets before going outside. Inevitably, this will result in outside time being shortened from 30 min to 10 min or removed all together and just doing a teacher-led active game or a round of the Hokey Pokey as you play catchup. The truth is, whether you plan for them or not, transitions are part of your day. If you plan on snack being 15 minutes and it takes 8-10 minutes for all of your children to wash their hands, does that mean snack time is really only 5 minutes long? No, of course not, but what it usually means is that your activity after snack time (usually outside time) will be cut short because you didn’t plan on hand-washing! This has a ripple effect. Your children will be frustrated. If you are only able to stay outside for 10 minutes instead of 30, the children are not getting the time they need to exercise. They are also not getting the amount of time it takes to really get involved in group play with peers. They may just be deciding they want to play tag and you’re giving the cue that it’s time to come inside. They cannot “tell” time, but they can “feel” it! You will be running late for the rest of the day. For a half day program, it means shortened outside time and possibly cutting out Story Time. For full day programs it means eating lunch late, therefore taking naps or rest late and needed to extend that time for the sleepers in your group, meaning late afternoon snack, late getting outside, late for activities in the afternoon. It’s frustrating for everyone! Moral: Plan for transitions! They happen whether you put them on the schedule or not! If you plan for transitions within your posted schedule, your day will run smoother, the children will not be frustrated with shortened activity times and you will no longer be running late at dismissal time! In addition to helping children feel confident in their environment and knowing generally what will happen each day, having a daily schedule that is well-balanced will prevent many behavior problems in your program. Click here for more information on Transitions as well as a free download with tons of transition ideas! How will you let your children know about the change from one scheduled activity to the next? Ideally, you want as few transitions as possible. You also want the transitions to be as natural as possible. One of our classroom jobs was “Bell Ringer”. One of the teachers would give a 5 minute warning to the group that Center Time was almost over. When it was time, the Bell Ringer would ring a small hand bell and say “Clean Up Time!” and lead the group in a clean-up time song. It was THE most popular Job Helper position. And all the children responded well to clean up time because they all loved the job and knew what it meant! You can also have visual cues for those who need to see what will happen throughout the morning. Consider making picture schedule cards to either tape directly onto the wall or in a pocket chart. Let’s now set up your schedule. Get some lined paper, a pencil and let’s go! The next 6 items are how-to tips! List all of your daily “non-negotiable” times. These are times during your day that you can NOT change. It might be lunch (because it is delivered to your classroom at a set time) or scheduled times such as Outside Time for your classroom or Gym Time, etc. List your activities by name and desired length of time you need for each. Teacher Led or Child Led? Remember #2 above: You need to have a balance. You do not want all passive, teacher-led activities to happen back to back. Referring back to #3 above, transitions will happen whether you plan for them or not! So plan for them! Plan the time the children will need to clean up from centers, wash hands, put on jackets, etc. Now that you have all your activities in writing, map them out into your time slots. You might want to have a Circle Time and a Story Time in your day. You should have them both listed in the steps above. Now, knowing that both of these activities are passive, you should break them up rather than have Circle Time followed by Story Time. Perhaps you will have Story Time after Snack or after Outside Time. Consider the balance of active/passive when mapping as well as including the transitions you listed. 9. Observe, Assess and Make Changes! A schedule is NEVER set in stone! You may need to tweek it throughout the year! When you notice behavior issues in your classroom, take notes to detect patterns. Many times it is due to the schedule needing a change. Most of your children want to use the same 2 centers every day and seem to fight constantly about who will be in that center. Your other interest centers are avoided or neglected. A. 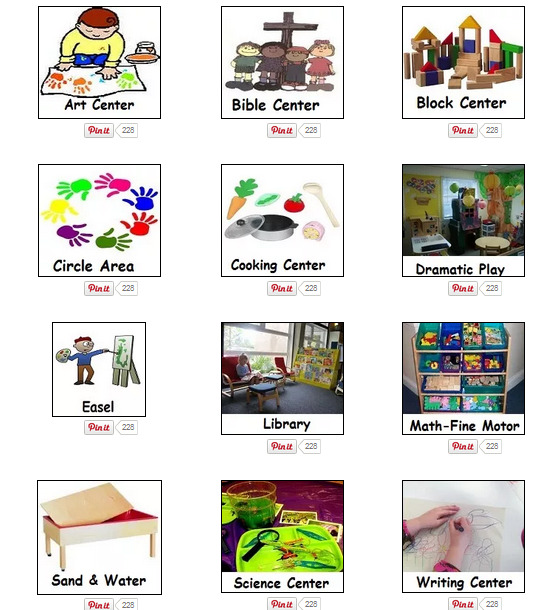 You may not enough of a variety of interesting materials or activities in the neglected interest centers. B. You might have too much unguided time for the children during center time. 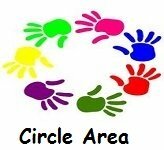 This might be a good place to add a small group activity (a science activity or cooking activity in groups of 4-6 while the rest of the children explore the interest centers). You've lost interest of 3 or more of your children during Circle Time! There could be many reasons for this. You can read more in my 6 Dos and Don'ts of Circle Time article. Your children don’t eat at snack time…….they play with their food and toss the pieces of cheese at each other calling them spiders! A. The children have not had enough time during the day to interact freely with each (most of your schedule prior to snack time has been teacher-led, passive activities). You will need to look at the balance of those activities and have more interactive time for the children. B. They are NOT hungry at snack time. Again, look at your schedule for the hours leading up to snack time. Have the children mainly been involved in teacher-led, passive activities? Has there been any type of gross motor or active part of the day (music/movement, interest center time, etc.)? Adjust your morning so they are more active. C.	They are not hungry because snack time is too early! When do most of your children arrive? Is it at 9:00 and you are having snack time at 10:00? It is possible that most of your children just ate breakfast at 8:20-8:30. They are simply not hungry by 10:00! D.	One more scenario-if the children seem to argue a lot by 10:30, or children are having meltdowns by 10:30, and 10:30 is your snack time, it may be too late! Try moving your snack time to 10:00! I have put these tips into a worksheet for you to use! I’ve taken a hypothetical schedule idea and used the 9 tips above to show you how to put a schedule together. 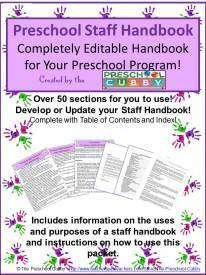 It includes blank forms for you to print and use to develop your own preschool schedule. 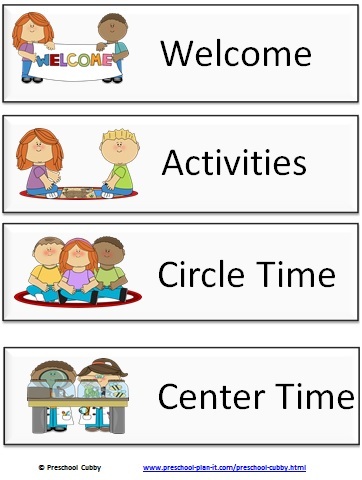 I have created a set of schedule cards for you to use in your classroom. 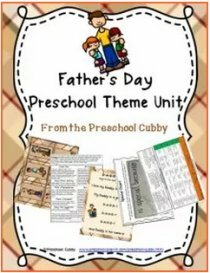 It includes 21 traditional times of day with pictures as well as a few blank ones for you to laminate and write in your own unique activities. I’ve seen teachers use a clothes pin with this. They move the clothespin down the list as they go from one activity to the next. This allowed visual learners to come over to this chart anytime during the day and see “what time it is”! You can simply use 3M Painter's Tape to attach your schedule to the wall (this type of tape does not take the paint off your walls. However, it does fall of the wall often, especially when it is humid. For that reason, I LOVE my narrow pocket chart, as shown in the picture above! Click here to see the details of the pocket chart I use from Amazon . When planning your daily preschool schedule, follow the 9 tips! 1. 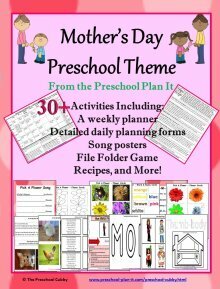 Be sure to have a written preschool schedule to post! 2. Think about (and try to reduce) transitions throughout your day. 3. Decide on audio and visual cues for transition times. 4. Plan around your non-negotiable time slots. 7. List the transitions you've determined will happen (based on #2). 8. Map It Out--Move your routines around to ensure passive/active balance. 9. Observe, assess and make changes as necessary.